This is a dish I used to make before going gluten free. I would use the Kraft Mac & Cheese (white cheddar flavor) and some Parmesan cheese. For you gluten folks I will put a note below as to what i did with that below. This was my first attempt and I think I may do a few things differently next time. I think this would be a great dish to mix up the flavors. Like add taco seasoning, or chili powder, maybe some garlic and mozz cheese and italian spices for an italian flavor. I think this is a good base for those hamburger helper type meals. Cook noodles according to packing instructions and brown hamburger. Add the noodles and the cheese sauce to the skillet with the hamburger. Today I just used salt and pepper but this is where you can add other seasonings to make the flavor you want. You may also add some extra cheese if you want a extremely cheesy dish. Mix until all ingredients are blended together and cook on simmer till heated through and serve. Note- for you folks that do not have to be GF and easy form is to take 1lb hamburger, 1 pkg of White Cheddar Mac & Cheese and some shredded parmesan cheese. Brown hamburger and cook noodles. Add the drained noodles to the skillet of hamburger, mix in 4tbsp butter and the packet of white cheddar powder (may need to add a touch of milk or more butter), mix in about 1 cup shredded parmesan cheese and enjoy! 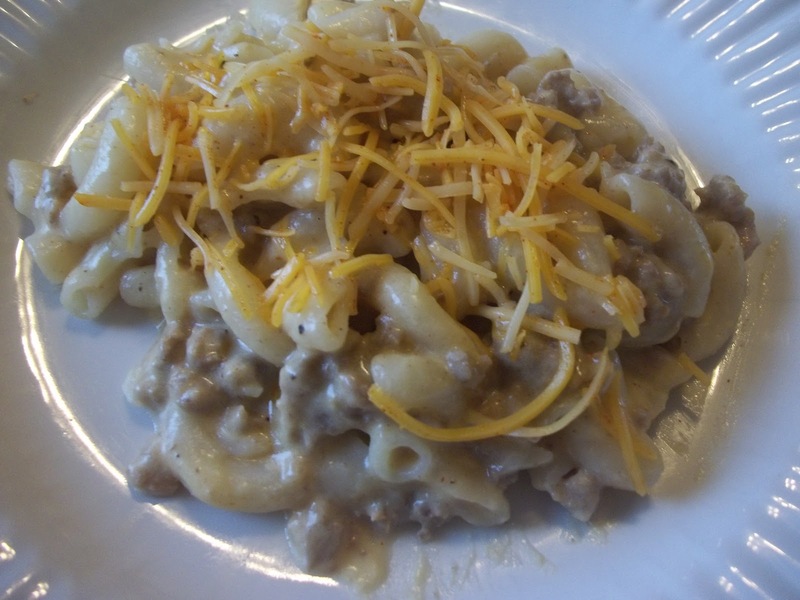 This entry was posted in Beef, Recipes on March 24, 2012 by Kandi. Looks yummy! I am a new follower from the I love my online friends blog hop! I am also a gluten free blogger!